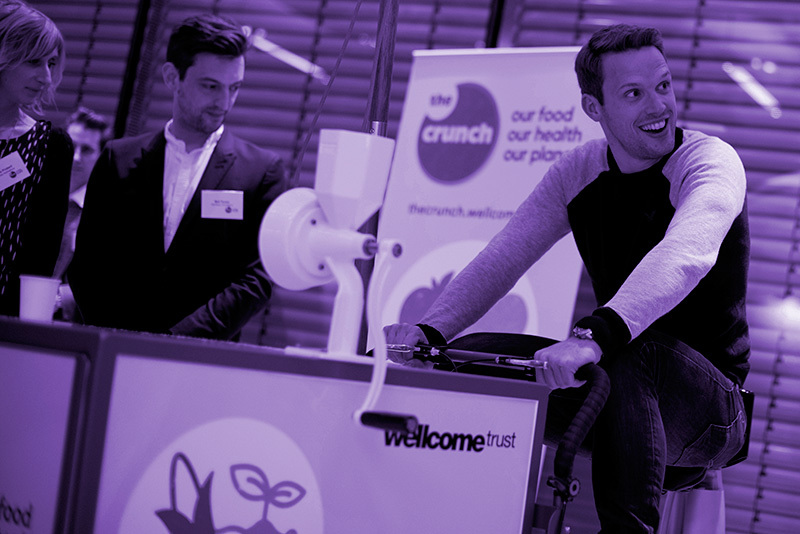 After a year of chewing over the brand and communications The Crunch launched to the public on Monday night. 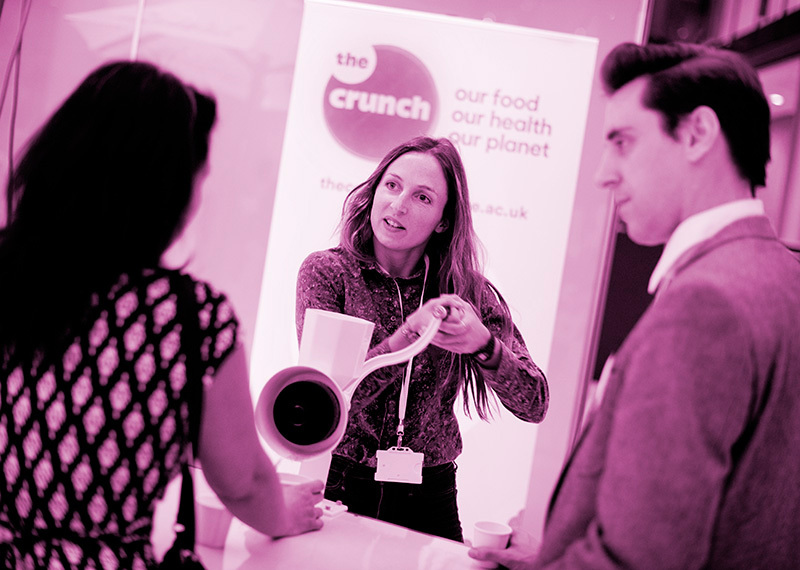 The Crunch is Wellcome Trust’s latest £6m initiative which aims to get the whole nation talking about our food, our health and our planet. We were commissioned to create the name, brand, website and launch film, amongst other things. One of the key objectives for us was to create a flexible brand and versatile guidelines which could be used by the initiatives 15 delivery partners who are tasked with reaching all sections of the UK public. 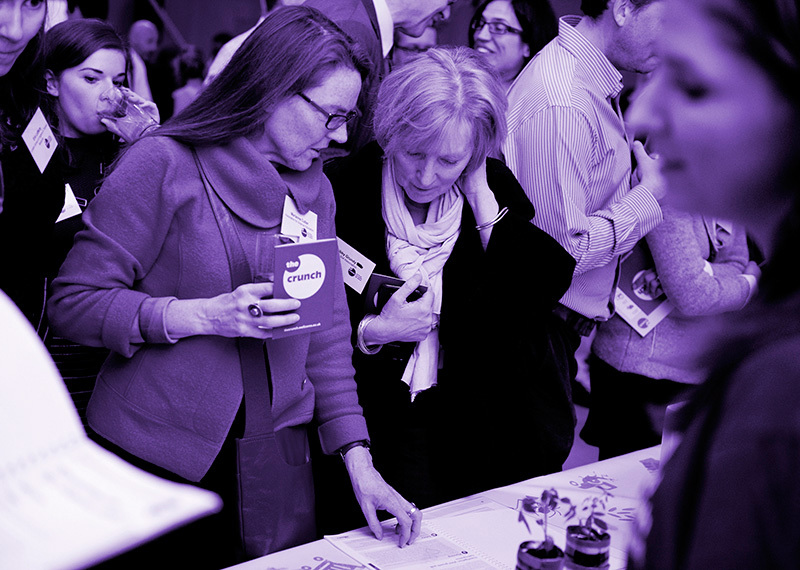 The event provided an opportunity to launch the brand and for a select audience to get a taste of the many activities that will aim to engage the public – such as theatre performances, family activities at science centres, digital games and experiences and experimental science kits for schools.